Continuing my Northern Flicker (Collaptes auratus) nestling observations from my last post, I was amazed at what I found when I opened the nest box this week. Northern Flicker nestlings hatch slightly asynchronously as the adults begin incubation one to two days before the last egg is laid. 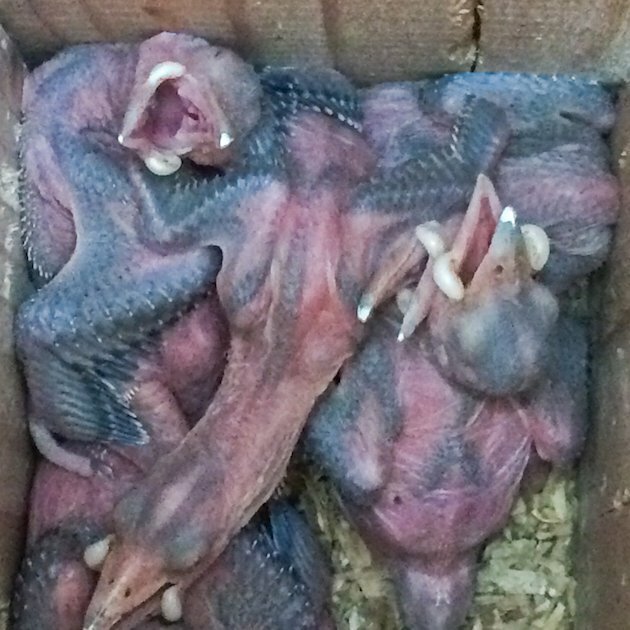 According to Birds of North America Online, on day 10 or 11 their eyes are beginning to open. 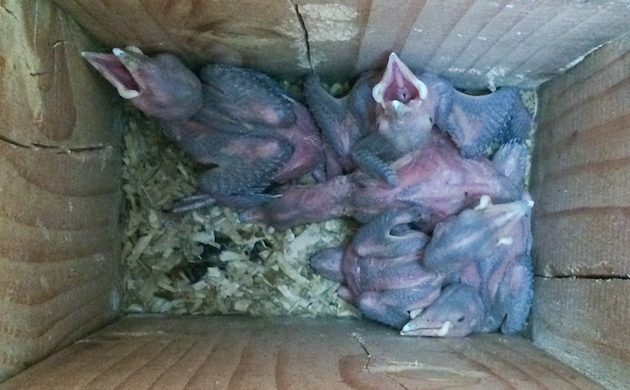 You can see in this photo that some of these nestling’s eyes are beginning to open. They also have this strange looking white fleshy fold at the jaw hinge, and a white egg tooth. The young leave the nest at 24 to 27 days and I hope to get some more images before they depart the nest box. A strange sound that the nestlings make called “nestling buzzing” develops shortly after hatching and persists until hatchlings are nearly fully feathered but still in the nest. I recorded this strange sound heard in the video below. At the 30 second mark, just before the end of the video you will see one of the nestlings stick out its long tongue.